Total Monitoring Services is a Master Reseller of Connect 24! 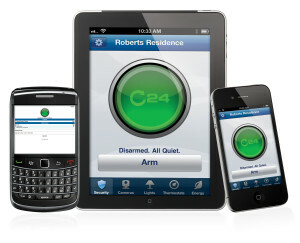 Since 1998, CONNECT 24 has been activating and administering cellular and GSM devices for security alarm dealers in the U.S. and Canada. All DSC GSM Communicators (TL-260GS, TL265GS, GS-2060, GS2065, GS3055-ICF, and GS3060) are activated and programmed via Connect 24’s Web site or through Connect 24’s VRU (Voice Response Unit). Transitioning to the GSM network and to DSC’s GSM family of products is a business decision you will not regret. You’ll be able to increase your monthly service revenue by leveraging the reliability and affordability of the digital network with customers, and for those customers not using a traditional PSTN phone line (such as VoIP), the communicators can be utilized as a primary alarm communicator. You’ll also be able to retain your hard-earned customers by offering them a secure wireless solution that is compatible with any control panel that communicates using Contact ID and transmits alarm signals directly to the IP receiver of the monitoring station, bypassing clearing house signal routing altogether. Call us today to learn more about our Master Reseller program and how we can help you save even more monthly revenue!